Have you ever found a great deal and had to share it with your friends? My mom once found a great denim-ish skirt at Dillard’s for me, which honestly looked really ugly on the hanger, but she convinced me to try it on because it was only $7. So I bought it and to this day I still have it in my closet. Someday if you see me in it, you’ll know my secret!So what’s the point of telling you all this? Today I want to do that for you. Below I have compiled a list of some great freebies and deals from friends of mine who I respect and who also have a lot to offer that I thought you should know about. I have put them in numbered format and by category so you can quickly see what they are about. Each has a link, and I encourage you to take some time to click through and visit! 1) Lori Petro, is a great friend and has a wonderful parenting site called Teach-Through-Love. She teaches parents how to connect with their child in a meaningful way rather than focusing on punitive discipline. I have learned so much from her and she has just launched a Family Peace Project which opens registration on 6/7. Click here for more details. 2) Dr. Shefali Tsabary, author of The Conscious Parent is another great parenting resource. Her book was a hugely transformational part of my own journey as parent and opened me up to a brand new way of thinking. PLUS she was the one who introduced me to Lori. She has 2 new 30-minute videos talks on conscious parenting that she gave at the Dali Lama center for Peace and Education. I highly recommend you take the time to watch them. To watch the videos Click Here. 3) If you want to boost your health this summer you have to jump on board with Casey Sollock. She offers an amazing 10-day Eat Clean Challenge, which I took last summer. It helped me to weed out much of the junk and curb my addiction to caffeine. It’s just $19 for the whole challenge and it’s virtual with a very interactive Facebook group for support and daily emails with her warm encouragement and teaching for the day. The next one starts July 8th. Click here for more info. 4) Pilates from the comfort of your home? Yes! Via Skype or Google+ you can work with Denise who will give you a workout you’ll never forget…mainly because your abs will be so sore in places you never knew you had muscles….in a good way I mean! She is offering a free 20-minute trial. Grab yours today. Click here and scroll down to register. I just did mine last week and Denise is such a gem! 5) My mentor David Essel has an amazing XM radio show on Channel 246 that airs live every Saturday night from 6-9pm EST/ 3-6pm PST. I know for many of us moms listening in live at that time is not really possible, but the great news is you can listen to the David Essel Alive show archives where you’ll have access to the best self-help experts in the world today free. I listen in through my phone connected to my bluetooth during the week when I have longer drives. It’s great brain food and I’ve learned a lot. To access the show archives online Click Here and to listen to the podcasts on iTunes Click Here. 6) We have just launched the University of Moms Finishing School. It’s a page full of free downloadable talks, interviews and workbooks done by me on everything from noticing triggers, to managing frustration, to creating peace at-home and more. There is no restriction, just free and shareable resources. To see our Finishing School page Click Here. I will make sure to always keep you in the loop and share the people I feel you need to know…no strings attached. I do not get any sort of referral fee, I just believe in them and want to personally introduce you to the best there is out there on the web in addition to sharing my knowledge with you too. If you have a resource you want to share with me, I’d love to check it out. Please reply to this email and give me the link. 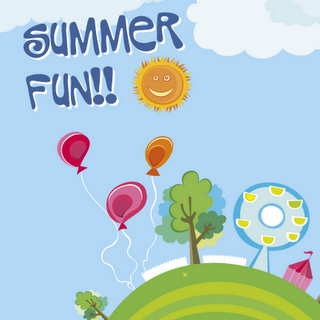 Have a super day and may these resources help you to welcome summer with a smile!